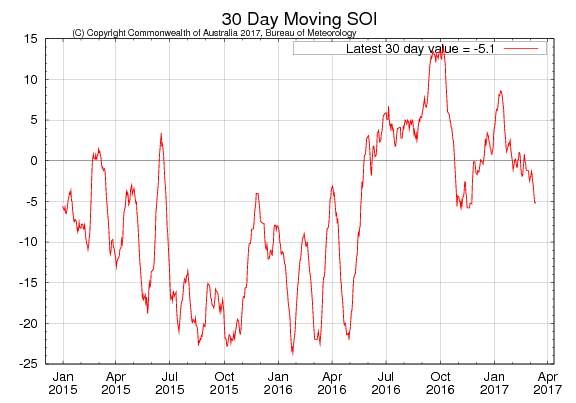 Source: The Australian Bureau of Meteorology. Drier than average conditions are expected across the southern two-thirds of the NT, south of Elliott. 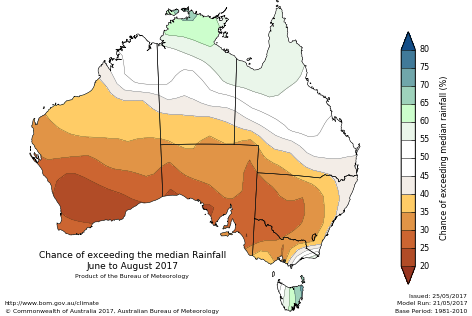 Warmer than average days and nights are more likely across the Southern NT. Cooler than average days and nights are more likely across the Northern NT. 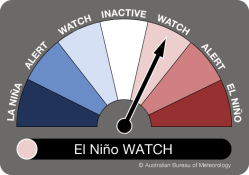 Bureau climatologists continually monitor the climate for any significant developments, with information on El Niño/La Niña and IOD events available fortnightly via the ENSO Wrap-Up. 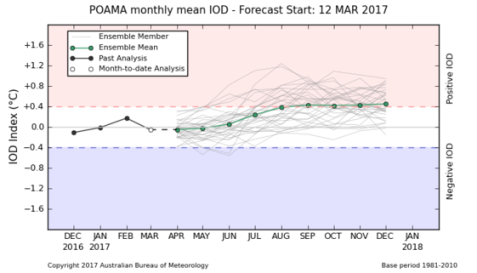 For more information on seasonal outlooks visit the BOM website. The IOD also remains neutral (neither positive nor negative), as is typical at this time of year. 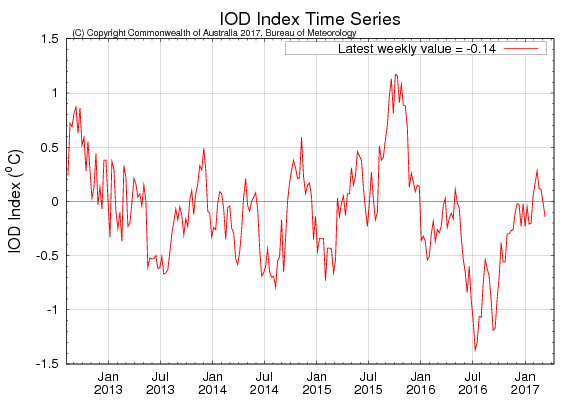 When the IOD is neutral it has limited impact on Australian climate. 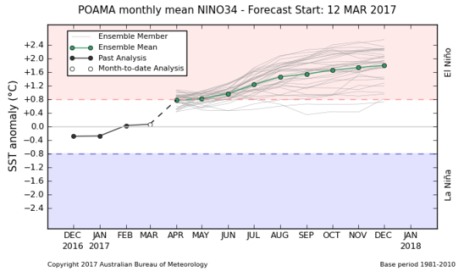 However, the continued presence of much warmer than average water to the north and northwest of Australia may see continued influence on Australia, including enhanced rainfall.